I’m not the only one in our home who loves tulips. JJ thinks they make a tasty snack. 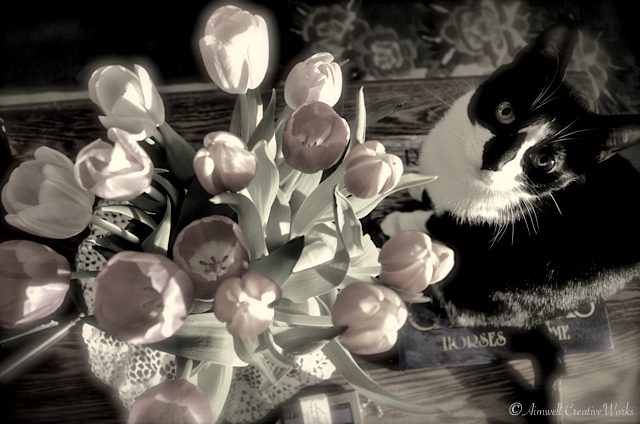 This entry was posted in Animals, Photography and tagged Aimwell CreativeWorks, black and white, cats, Dorothy Chiotti, flowers, monochrome, tulips. Bookmark the permalink. Gorgeous composition and editing. You would never know from that innocent looking face what is about to happen! !